Even in today’s market-driven education system where a commonplace (self-) diagnosis for the humanities is that its condition is critical, the knowledge machines are far from broken. Socially relevant knowledge is produced, disseminated and consumed in a variety of creative ways, in which digital tools and methodologies increasingly play an important role. While acknowledging the crisis, we wish to move away from the discourse of negativity that is currently encompassing the humanities. We will showcase examples of affirmative engagement with the digital humanities, and trans-disciplinary critical and practical approaches to the oft-perceived stability of knowledge, the shelf life of ideas, and the contingency of meanings. 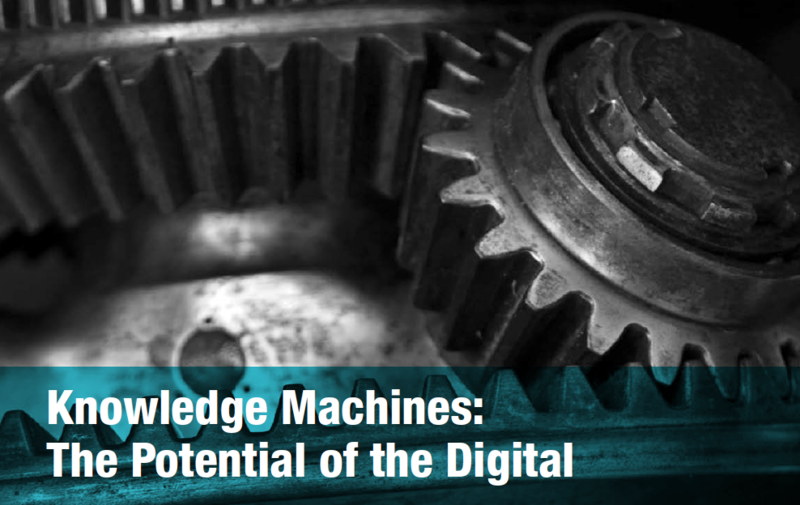 Knowledge Machines is a free one-day symposium that showcases different approaches to using digital methodologies for the humanities. Resources, discussion points, and related materials are made available before and after the symposium on the symposium’s wiki, in order to move the discussion about the future of the humanities out of the usual confines of the conference hall, and into the digital sphere.